It was a summer and a lot of boredom in 1998. It was the time to search for some guys to make just some funny music, somewhere between metal and punk, that was just the plan. So I met up with Janis, friend of a friend of a friend, to make some noise at some really fucked up rehearsal places. After asking another friend of another friend of another friend (and so on), if he like to join as a singer, the core was formed. We realised, that he was just able to grind, but that job he has done well, so our style got its first direction. In spring 1999 we found Max and Matze to do our first gigs to play some of our first 5 songs. But just in the summer of the same year Matze left, and I did the bass jobs on gigs. We also decided to call our pack Atropos. Just a compromise. But after recoding our first demo in March 2000 Mewes joined, to rise the musical level of the band extremely. Since this point we did some nice gigs, toke some live takes and completed and changed the set. Finally we are now what we ware ever supposed to be, aren't we?! After a small break of almost one year in 2002, Atropos started to really rock the underground scene of Berlin. A lot of gigs in winter and spring 2003 put Atropos into the heads of the people. This caused us even more to produce in 2004 finally our first own demo EP "Path of Fire", that has not been recorded live or for a sampler, containing material from the previous 3 Years. Unfortunally just after the production, the fate took its part and we had to pause again for ove a half year, because of private reasons. But of course, that does not stop us! in autumn of 2004 we did again 2 concerts, but they where a validiction for long year guitarist Max. He decided to concentrate on other things. Atropos started to look for a coequal replacement, but this task was more difficult than expected. We tried to give 3 shows with just one guitar, but for sure we knew, that this could be only a temporary state. 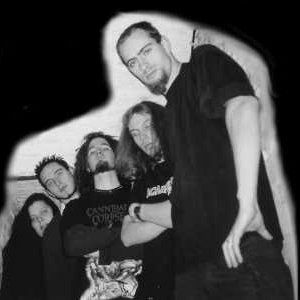 Finally in July of 2005, we got in touch with Engel, former lead guitarist and founding member of the band "Depraved" and with a long playing experience, also in other bands (see members page). We welcome Engel to our pack! In 2006 Atropos started to prepare for their first professionel recording sessions. Ingmar Klich put us into his studio and recorded 7 songs for our first EP "Thought Control". Unfortunally during this time, Engel left Atropos because he found out, that he wants to make a different style of music, and he refounded his former band "Depraved". So Atropos is a four-piece pack again, still following its way! After a long time of recording, mixing, viewing layouts and concepts, Atropos is proud to present "Thought Control" in spring 2007. Spring 2008 brought a new member to Atropos: Phil, young new Guitarist, found after 2 long years of boredom on stage and practice with just one guitar. Now we're finally complete again! In 2008 also Atropos started to take part on Berlin band contest "Berlin Bands United". Surprisingly Atropos won (or almost won) round by round, standing now in half-finals. Now we still work hard, especially since we realized that we might have a chance to win the whole thing, but that will also require all the support of our friends! When one member came, another one left: In spring 2009 Christian announced to start a long-time stay abroad from August 2009. We were shocked by this, but also we were sure that we still want to have gigs in that time. Fortunally, we instantly found Stefan who gives Atropos the indispensable deep pulses our sound is known for. Welcome to our pack! With this lineup in 2010 Atropos finally won the BBU contest - thanks to all fans out there! The first prize was one week in a studio. In late summer 2010 Atropos entered the Studio to record the new EP now named "Warmachines". It took a while to find the right guy to do the post production. Finally in 2012 we found Ulrich "Ulzen" W. to do it. So in December 2012 we proudly released our second (almost) full length CD containing 7 tracks. Meanwhile Atropos did a few gigs in Berlin. Special attention we got at the "Moshpit" concerts at K17, proving to this location that we are still able to rock...And on January 2013, Atropos gave an awesome record release show at the Blackland pub, thanks to everybody who was there! In autumn 2012 two sad news came up. Both, Phil and Stefan were leaving us because of different reasons. Fortunally, we found new members instantly. Now we're happy to continue the way of the thread with experienced bassist Lissog and young but talented 7-String-penetrator Säsch. Now we're looking forward to the rest of 2013, playing on metal festival "Rock for Roots", having a northern germany tour with our friends Cursed Prophesy in autumn and recording a high quality live video in (propably) november.